21.02.2015. Sale, England. Aviva Premiership Rugby. Sale Sharks versus Saracens. 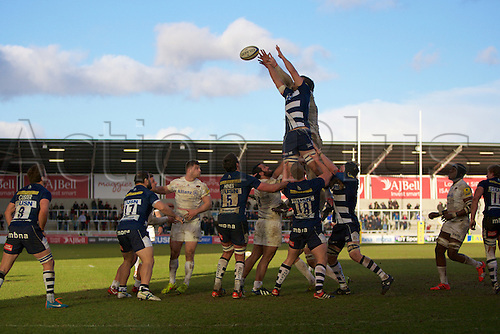 Sale Sharks prop Alberto de Marchi wins a lineout.